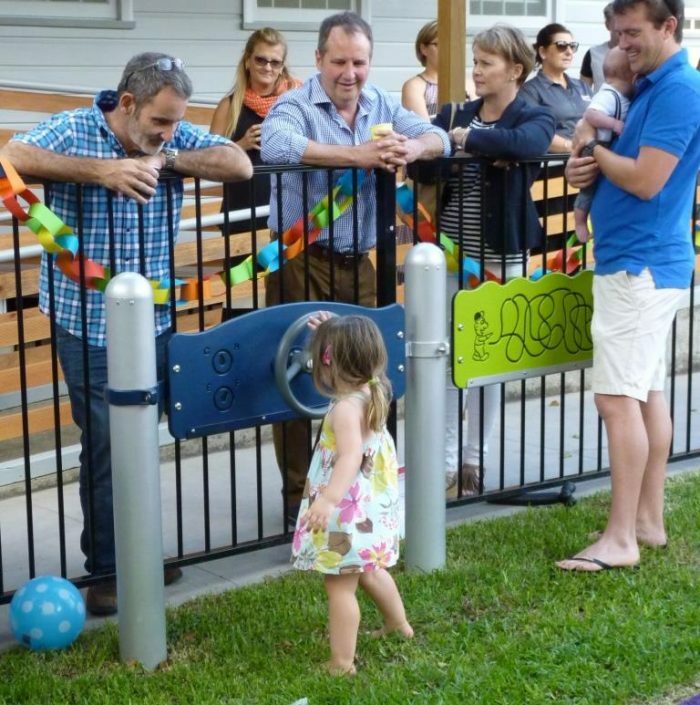 After learning about Rebecca and Leah’s dream through the Shark Tank series, we felt a real synergy with our passion and mission in being leaders in specialised Inclusive Play equipment and design. We were one of Ruby and Ollie’s first supporters and have enjoyed following their journey to today, and look forward to the opening of their first centre. 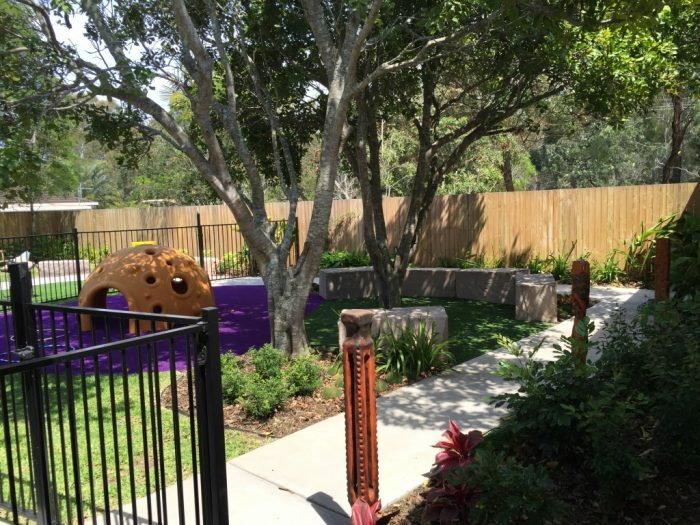 The playspace Garden has 2 main areas which are both fully accessible. The first zone has a sensory path connected by tactile and visually stimulating wooden totems and plantings. 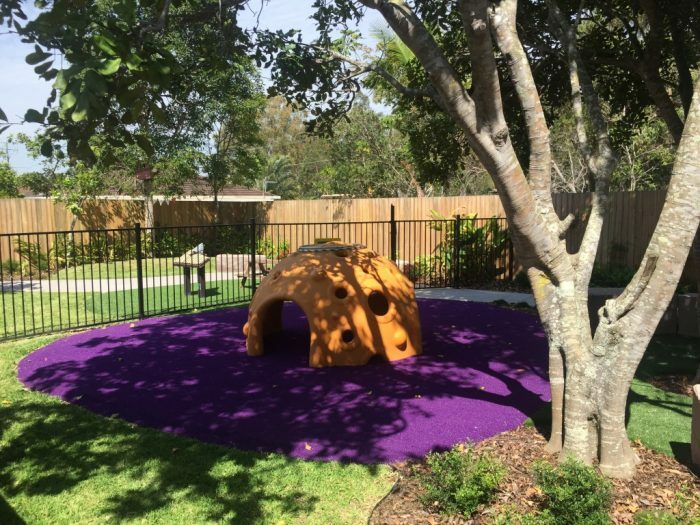 The sandstone feature seating allows for an outdoor classroom but also for jumping, climbing, exploring and hanging out! 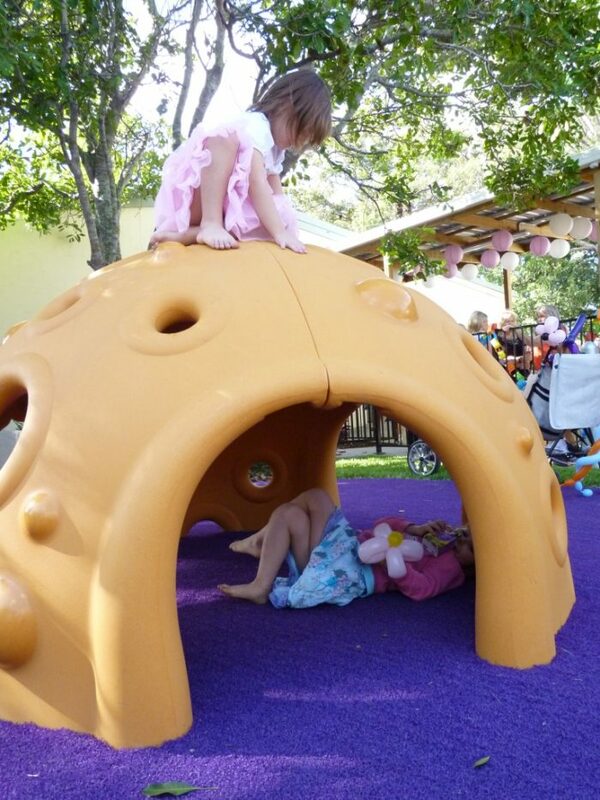 The Cozy Dome is the feature piece of this space, with round openings for hand and foot placement, and tactile bumps for an enhanced sensory experience. 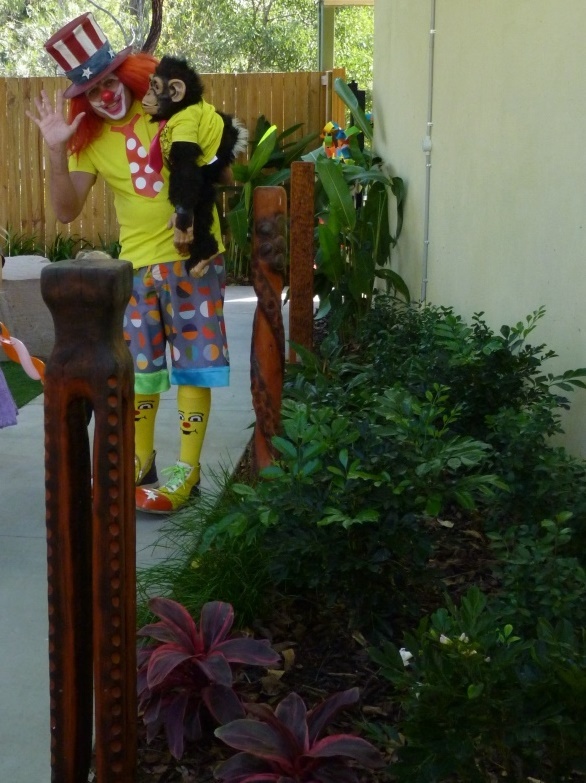 Providing a place where children can climb and work their muscles, it is a special climber in that it can also be used as a “getaway place” for children who want a break from all the sights and sounds of the playground – offering a space of seclusion where they can re-group while still providing inclusion being able to observe their peers playing. 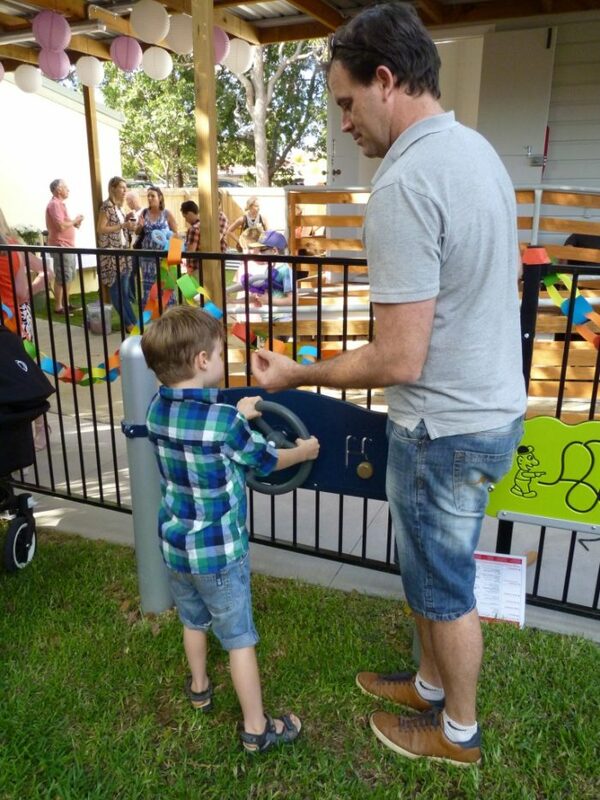 The coloured synthetic turf provides full accessibility for mobility devices if needed as well as offering a great visual aesthetic, and the inclusion of 2 accessible play panels – the Driver Wheel and Finger Maze – provides inclusive fun for all users. 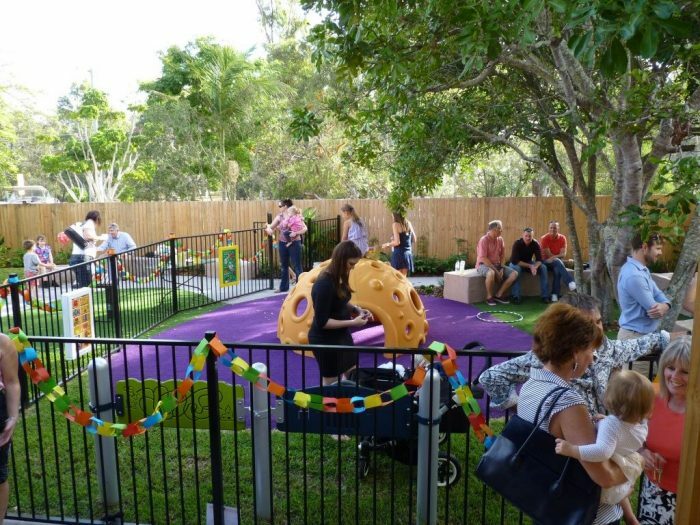 The second zone provides the children with a sand pit, rolling grass hill and sandstone blocks for play or sitting. 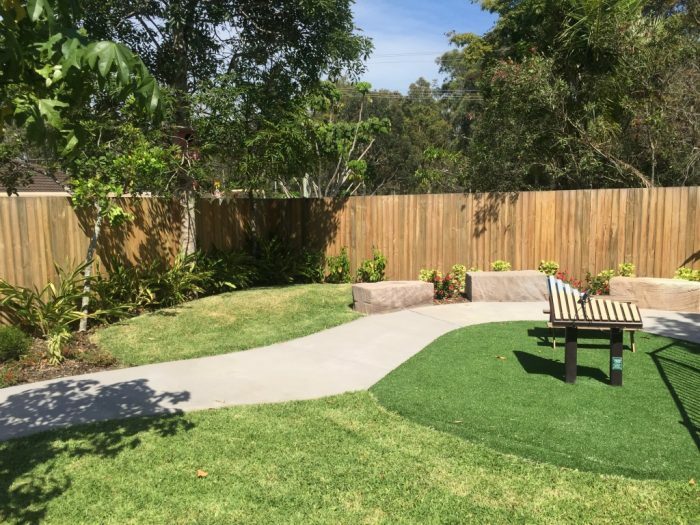 The centre piece in this space, set in fully accessible synthetic turf, is our outdoor musical instruments. The universal language of music will be celebrated in this space between the children, teachers and family members. 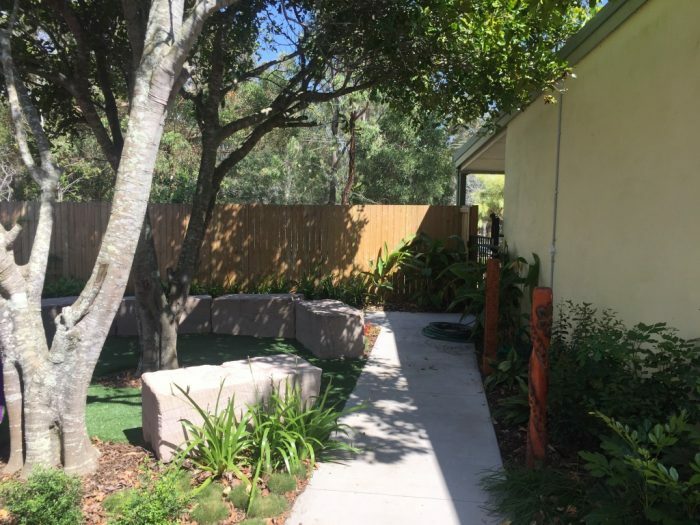 Sensory plantings and the feature flame tree round up this space inviting the users to stay and play longer. Congratulations to Ruby and Ollie’s and everyone involved in making this dream a reality for the children who will benefit so much from this vision!